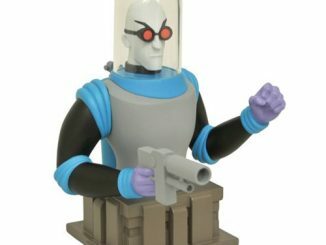 Does something smell fishy around here? 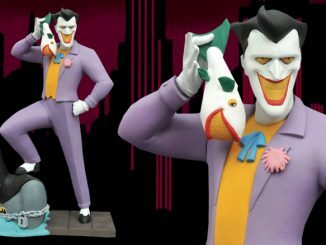 That’s just the Batman: The Animated Series Laughing Fish Joker Bust. 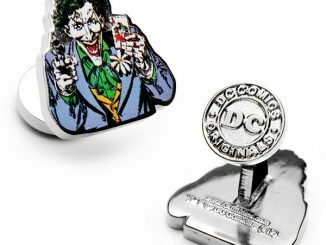 Leave it to the Joker to be unique. 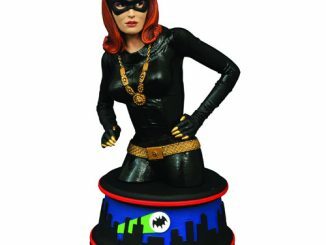 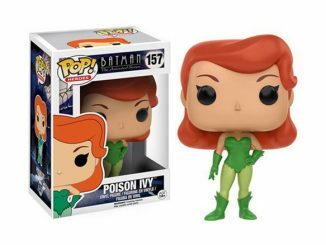 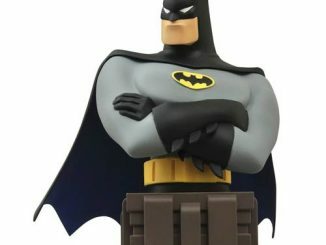 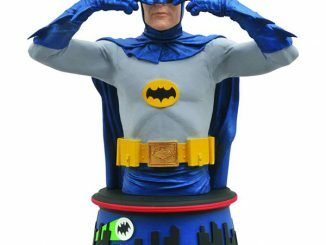 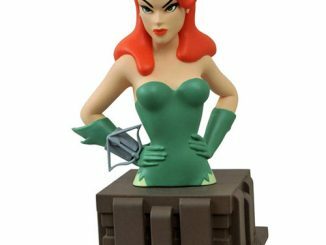 Other busts in the Batman: TAS series, including Batman, Catwoman, and Poison Ivy, capture the iconic characters in basic poses that don’t really indicate specific shows, but this Clown Prince of Crime comes straight from the Batman: The Animated Series episode, The Laughing Fish. 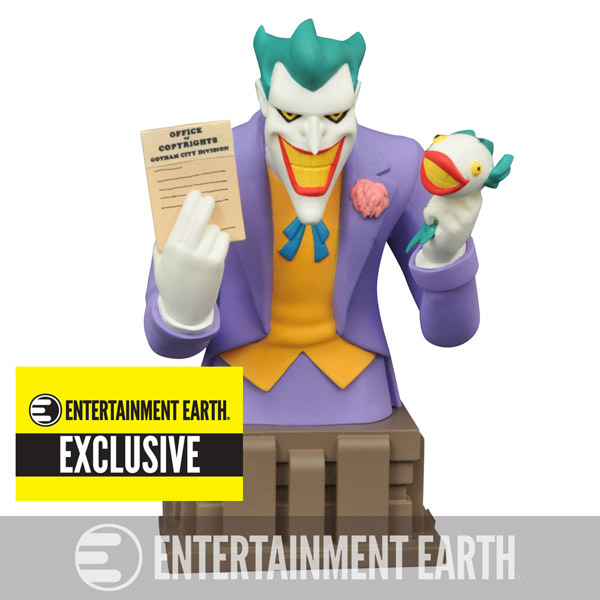 Standing 6-inches tall and limited to just 1000 pieces, the mini-bust shows the Joker wielding a Jokerfish and copyright paperwork as he attempts to make money (sort of) legally… if you don’t count the numerous attempts on people’s lives. 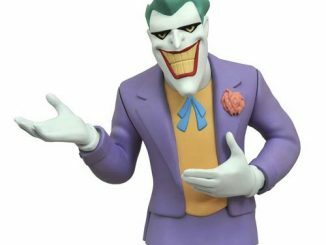 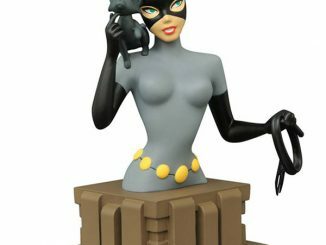 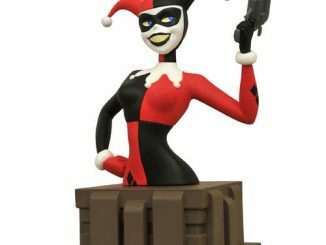 The Batman: The Animated Series Laughing Fish Joker Bust will be available February 2016 but it can be pre-ordered now for $54.99 at Entertainment Earth.